Inter-Korean Talks 2018: Is a Thaw in Sight? — Choson Exchange - Visit North Korea & Support Local Entrepreneurs! Inter-Korean Talks 2018: Is a Thaw in Sight? We bring volunteers to train North Korean entrepreneurs inside the country. As such, any de-escalation of tensions is good news to us. Inter-Korean talks began Tuesday morning at the DMZ. While talks are good, they are only a start. In this case, the crux of the issue is still the nuclear/ICBM standoff, and these talks are only a starting point to find a way to resolve the issue. Without compromise on some or all sides, this precious momentum could still easily stall. But as David Carden, the first US resident Ambassador to Southeast Asia points out, sometimes talking about an expanded range of issues alongside the core issue could create negotiating space. For reference, 2015 started on a similar note with DPRK leader Kim Jong Un suggesting “highest level talks” in his New Year Speech. A series of talks that probably did not lead to breakthroughs on key issues eventually moved into the turbulent phase of 2016 with its nuke/missile testing-filled year. Another thing to note is that these talks are probably preceded or supported by discussions in other channels between both parties. Some meetings apparently occurred in China prior to Kim Jong Un’s announcement. 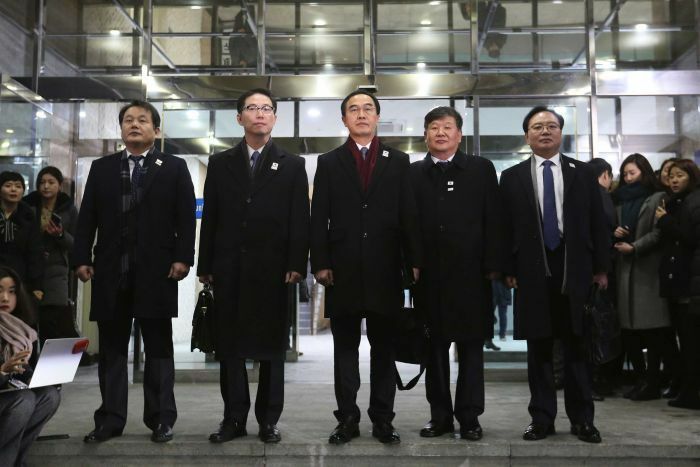 DPRK’s delegation of 5 was led by Ri Son Gwon - Chief negotiator, chairman of North Korea’s Committee for the Peaceful Reunification of the Fatherland (CPRF). The CPRF is an inter-agency coordinating committee on Korean policy. Ri also holds a United Front position, which is the Party Department dealing with inter-Korean issues. 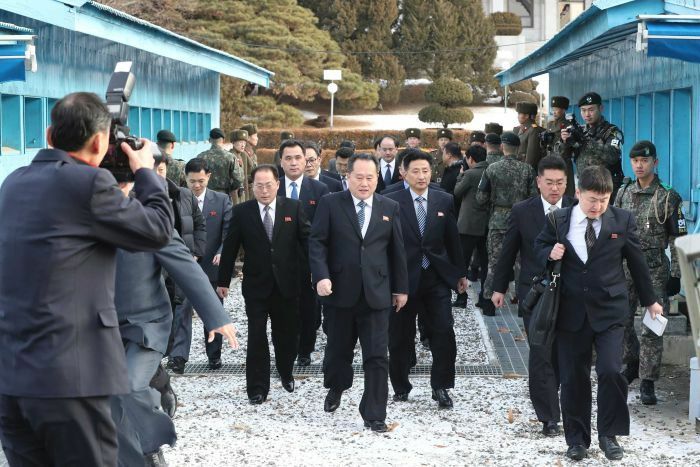 Kim Yong Chol, the supposed Director of the United Front, did not take part. He is also a Politburo member. In 2015 August talks, senior leaders Hwang Pyong So and Kim Yang Gon took part in talks. Some other members include the Jon Jong Su (also CPRF), Won Kil U, from the Sports Ministry, and Ri Kyung Sik of the Olympic Committee. South Korea’s talks were led by the Ministry of Unification. On the South Korean side, in line with the narrow mandate for the discussion, the Ministry of Defense was not represented. Both North and South Korean leaders, Kim Jong Un and Moon Jae In, appeared to monitor the talks in real time. Kim Jong Un did not make any comments so far on the talks. In 2015, Kim Jong Un called talks in August that year a “turning point” in relations with South Korea. Delegation of DPRK senior officials, athletes, cheerleaders, journalists and a Taekwondo demo team to Pyeongchang Olympics. The next thing to watch is whether talks lead to further discussions on inter-Korean family reunions and ways to de-escalate the military situation. Further talks might take place outside of the limelight in third countries. 2015 talks ended without mutual agreement, so we should temper our expectations, but hope for the best.